In the loading dock area located in the back of large retail stores, you will find a number of large forklift dump bins. One will be for plastic, another for glass, one for paper and still another for general garbage. Throughout the day, warehouse staff will be unpacking boxes of goods for display inside the store. One of the best ways to store, transport and get rid of all of trash is by having a extendable reach or standard mast forklift self dumping hopper on the warehouse floor. After the forklift driver empties the glass in the glass bin, he can come back and collect the paper trash into the hopper and take that out to the paper recycling bin. In any commercial setting, the machining of materials produces huge amounts of waste material. A lathe or industrial saws produce small bits of waste in big amounts. Feeding devices attached to low profile self dumping hoppers guide all that waste into the hopper. When the hopper is full, the forklift driver can take it to the waste or recycling bins outdoors quickly. Self dumping hoppers are very useful on construction jobs, where wood and steel off-cuts, empty concrete bags and other debris gathers in a hurry. There is no simpler way to clear the construction area fast than with a self dumping hopper. 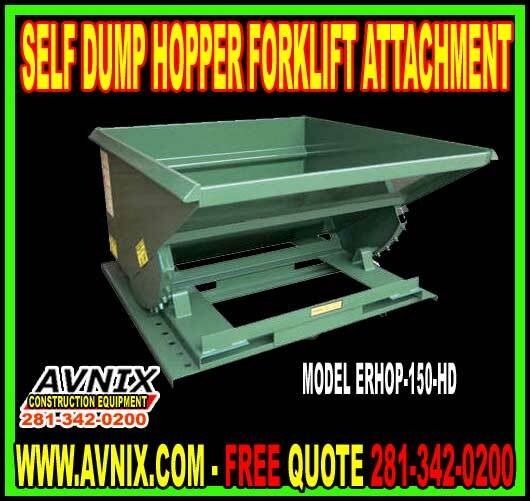 Some hoppers have the option to attach casters so it can be moved easily from area to area without a forklift, making cleanup less time consuming. The food service business produces a large amount of organic waste. Our optional lidded polyurethane self dumping hoppers are ideal for the storage of this type of waste. Seamless and watertight, there is no leakage and the lid gets rid of objectionable odors. After the dump hopper is emptied, it can easily be washed out with a standard water hose. 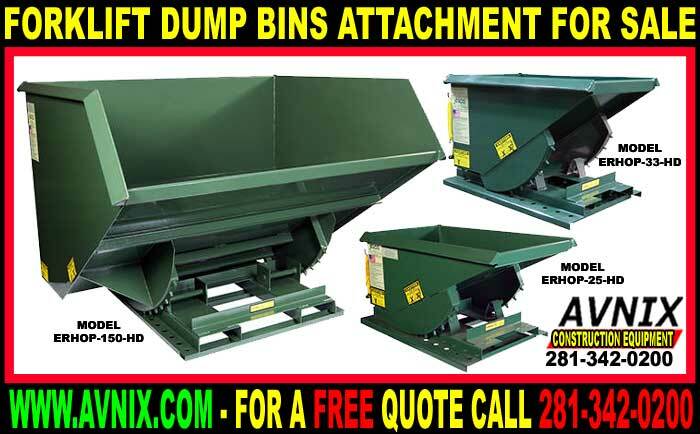 These are just a few of the applications that self dump hoppers are put to each day in all kinds of materials handling situations. Because they safely latch when in the upright position, but are so easily emptied when full, there is no better bin for trash or debris. They are also perfect for those situations when big amounts of small parts or other products make moving without a forklift unfeasible or unworkable. 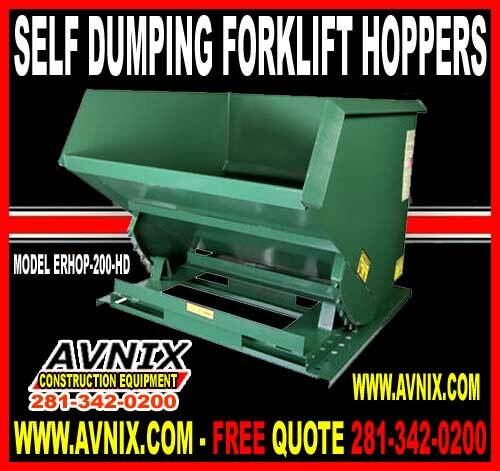 Self dumping hoppers are not only cost-effective and multipurpose, they are essential in any industrialized setting.